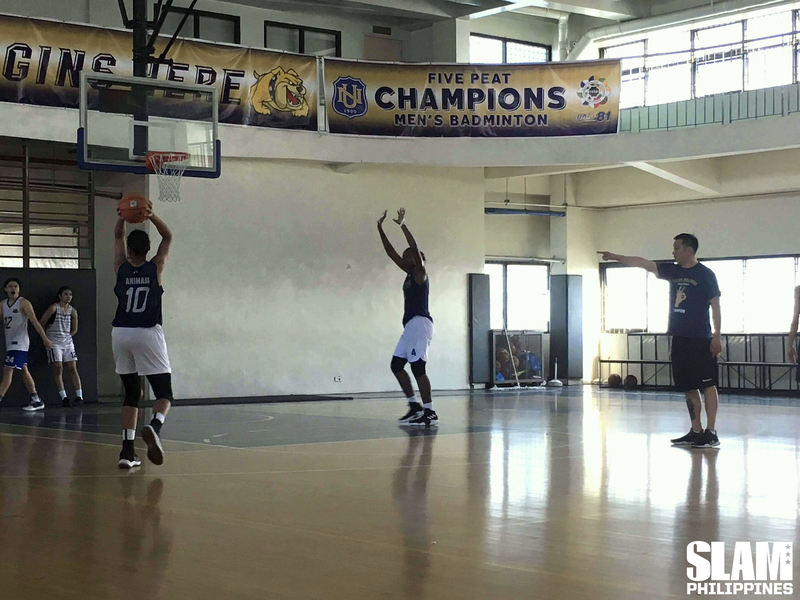 Despite the NU Lady Bulldogs achieving UAAP history by winning their 74th straight game the women’s division, they continued their normal routine of practicing during Saturday mornings. It would have been understandable if the activity during practice was a little bit lighter with the coaching staff and the players more loose in their approach. After all, they just made their mark in Philippine basketball, even Philippine sports. They could have easily taken their foot off the pedal for one practice. But resting on their laurels is the farthest thing in the mind of head coach Patrick Aquino and the rest of the Lady Bulldogs. They remained focused on the bigger prize on the horizon: winning their fifth straight UAAP championship. For the decorated coach, accomplishing that will complete the winning streak currently being enjoined by his team. The defending Women’s Champions haven’t lost a game dating back to Season 77 more than four years ago. Because of that torrid run, they now own the longest winning streak in the UAAP, for any sport. This flawless run has resulted in four straight championships, making them the gold standard for women’s collegiate hoops in the country. Yet, it wasn’t always smooth sailing for this squad. Before all the winning, the Lady Bulldogs, just like their male counterparts, found themselves languishing at the bottom for a good number of years. Although they were some instances of brilliance, these were are few and far between, failing to make their mark in the league. Then came Aquino assuming the mantle as the team’s head coach. 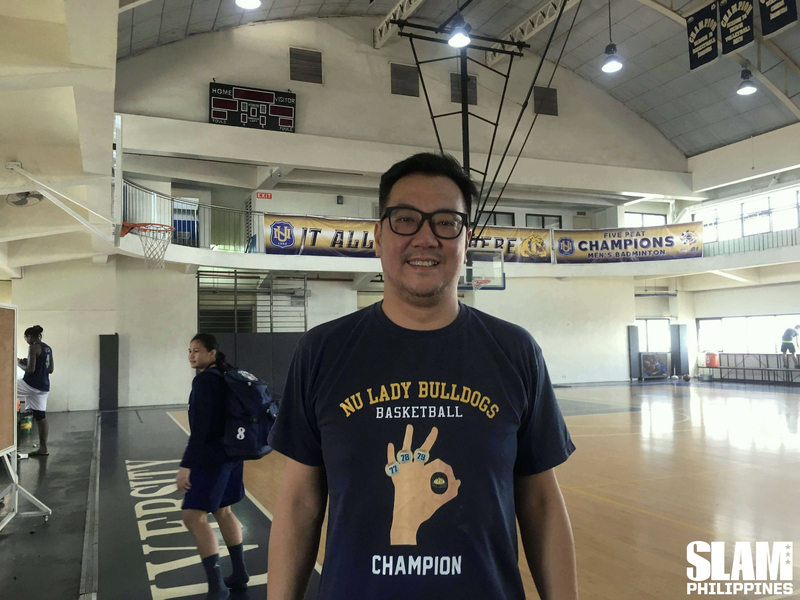 In just his first season at the helm, he gave the team and the rest of the NU community a taste of things to come when he towed the Lady Bulldogs to a runner-up finish during the UAAP Season 76 tournament. The following season would eventually serve as the groundwork for this historic run as NU would go undefeated en route to its first-ever Women’s Basketball crown in school history. Though he and his squad have already been accustomed to winning for some time already, Aquino admits that the road to glory wasn’t that rosy at all. “It’s really a pressure-mounting achievement. To the point na nanalo kami ng four championships ng walang talo, ang target ng management is that we beat the (then) streak. Ang pressure medyo nag-mount na sa mga kids, and everybody’s been reading in social media, sa papers na malapit nang makuha yung record ng streak. So in some way, yung pressure mounted. Mabigat, he shared. The multi-titled mentor still admits that there is still a bit of pressure on their part even after achieving the record, mostly due to the fact that all eyes are still fixated on the team to defend the crown all the while being the target of opposing squads wanting to be the first to hand the Lady Bulldogs their first loss. That’s why he continues to emphasize that his team has came to embrace the rigors of pressure that comes with the territory, stressing on maintaining the focus while playing their hearts out one game at a time. 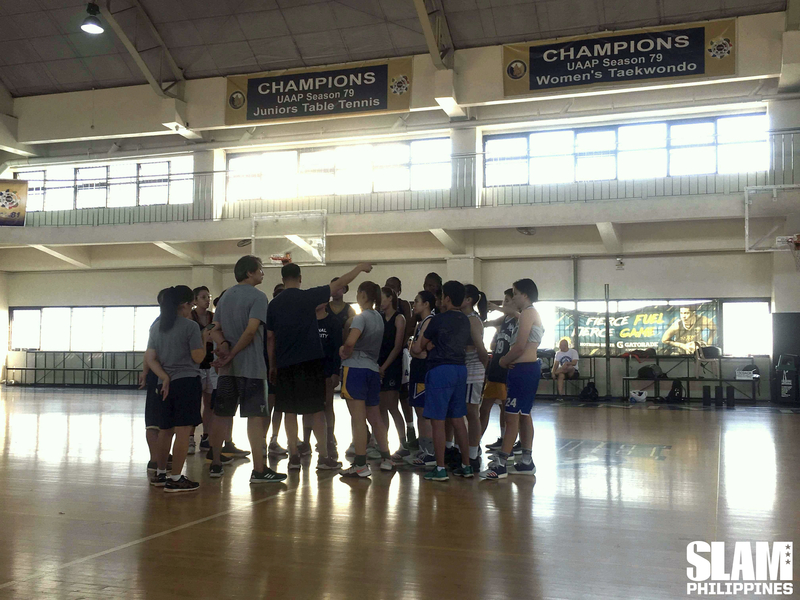 In this regard, Aquino admits that despite their status as one college basketball’s premiere basketball programs, there is still a lot going inside his mind. He wants his team to maintain their high level of play, even with all the accolades. He feels that their continued dominance will be beneficial not only for the NU program and the whole of the UAAP, but also for the Philippines’ women’s national team going forward. “If you don’t have pressure then it’s going to be uneasy. Wala ka nang enthusiasm. Wala ka nang goal without pressure. You got to have that. Sinasabi ko nga sa mga bata, every game, I’m scared. Natatakot ako na matalo tayo, baka ano ang mangyari sa kalaban. So it’s both ways na naiisip na you gotta have pressure to maintain the high standards that we are doing,” Aquino explained. His players are optimistic that they would be able to keep the fight and leave a lasting legacy by the time they complete their respective college careers. Perhaps no one can reflect better on this journey than team captain Ria Nabalan. Now playing in her final season, Nabalan is looking to make history by going undefeated throughout her stay in the UAAP, dating back to her rookie season in 2014-15. “Para sa akin, since last year ko na ay makakaiwan ako ng ganun alaala sa NU, na naging part ako ng streak. Oo, nandiyan palagi ang pressure pero lagi niyang (Coach Pat) sinasabi na mahalin namin ang pressure. Ibibigay ko ang very best, na ipapakita ko kung anong meron kami,” shared the senior. While this milestone raises the profile of the Lady Bulldogs program and cements their place in Philippine collegiate sports, Aquino also hopes that this feat would serve as an eye-opener in relation to the state of women athletes and sports programs in the country. “In such a way, this is an eye-opener not only in the whole UAAP community but also in the whole nation. Women have talent, not only in basketball but in different sports as well. That they can play like men, that they can showcase their talent and entertain people,” Aquino proudly exclaimed. 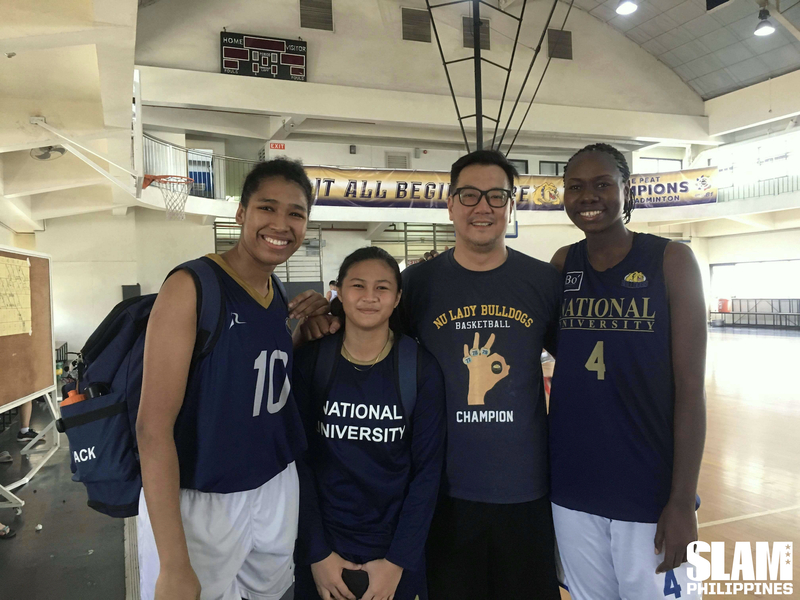 More than the winning streak and the championships, Aquino and NU is proud of what they’ve accomplished in the lives of their players. Their program continues to bring in women who are willing to learn to play the game the right way. They’re embedding an atmosphere which adapts the concept of family and placing an equal premium to life beyond the hardwood.